You have to be quite the jerk to make a mask cry. Sporting events are typically a chance for a family or group of friends to relax, enjoy a beer, and cheer for their respective hometown teams. 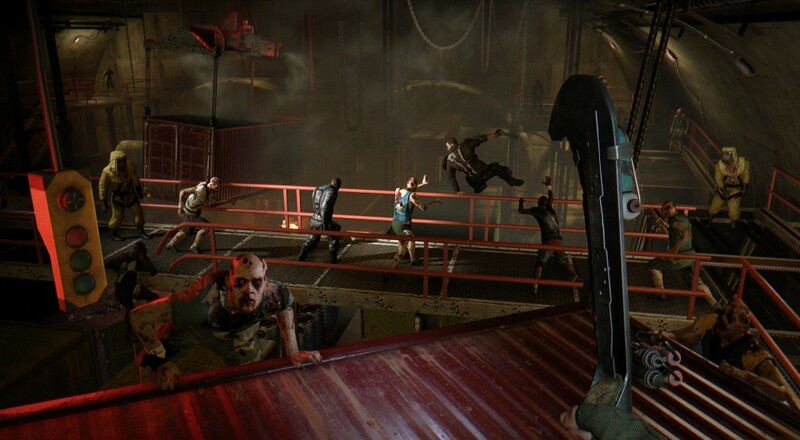 In the case of Dying Light, it's also a chance to catch four survivors in the midst of battling their way out of a madman's "challenge mode". I put that in quotations because calling the situation housing the game's new DLC a "challenge mode" is not dissimilar to calling Vietnam a "puzzle platformer". The most recent entry into Dying Light's post-launch content, "The Bozak Horde", has been announced to hit platforms on May 26th. Built specifically to be accomplished using the game's four player co-op, the expansion brings Kyle Crane and friends to Hassan Stadium, where a lunatic named Bozak has created a series of challenges that must be solved. By solved, I mean that you're gonna be straight up ruining zombie skulls. With a bat. Or a pipe. Or your knuckles. I suppose that could be part of the puzzle. Should you be able to successfully implant your solution-wrench into Bozak's trial-skull, you shall be handsomely rewarded with the pinnacle of stealth weaponry, a compound hunting bow. Of course, there are those who may be slightly disappointed with such an anticlimactic reward for what I'm assuming will be quite the harrowing affair. If you count yourself in this group's number, may your concerns wither away like the flesh of a newly turned zomboid. Additional objectives are available for you and your cohorts to accomplish which, upon completion, grant your arrows incendiary, electric, and explosive effects. How's that for stealth? Season Pass owners probably already know that this DLC will be available to them free-of-charge upon release. However, those who like to pick and choose their extra content will be able to purchase "The Bozak Horde" for $9.99.